So I've given up trying to make my current first build accurate and it's just not feasible (ZeeflyBoy has inspired me to build a better one). I didn't think of the old 'if you cant make it perfect make it adjustable' when I was building it and so now I've been trying to add in adjustable features which sort of work but I'm still way out on the z-axis. With this next build I'll be ditching the rather heavy 80mm steel box and going with Ali extrusion. This is the section which I've got least experience with. I'd like to make this a question. 1) Which extrusion size would be applicable best for a roughly 1000mmx500mm which will only be cutting wood and aluminium, I won't be factoring in steel machining to this. 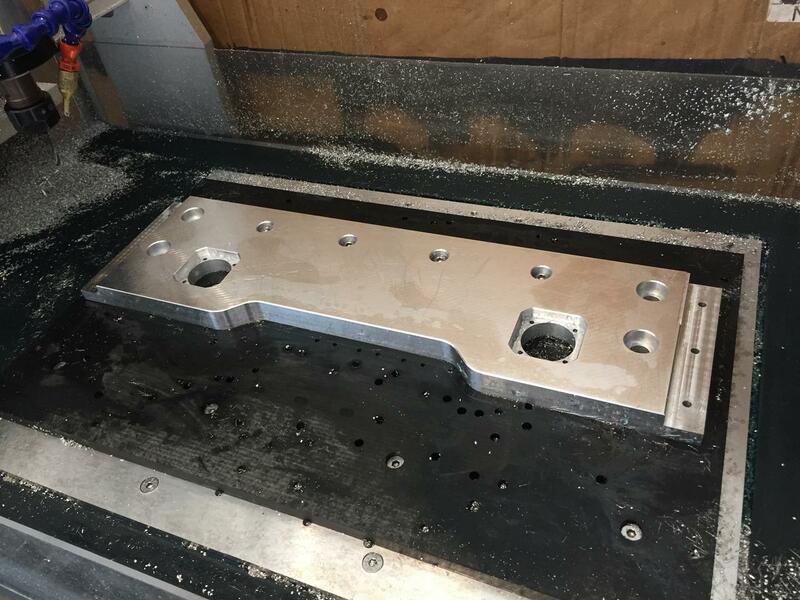 The end pieces will be 20mm aluminium plate bolted right into the extrusion core. Also to add the gantry span would also be extrusion, what would be a good size to work with 20mm hiwin rails. I'm yet to fully piece a design together as I'd like to get the critical structure understood prior to that. I'm in the UK and would only like to order from the EU or the UK so no China (Customs love my address). Last edited by RobC; 04-06-2018 at 09:37 PM. Rob 90x45 would work better if using BK bearings supports as the hole spacing is 46mm and would fit nicely into the T slots. Hi Clive, I'll be pretty much dismantling the bearing supports and hoping to have the bearings push fit into the end sections of the aluminium plate If all goes well. I'm not too sure if that would then change your decision on what size extrusion but silly me meant 16mm screws as I'll be re-using my current ones and plenty spares. Cannot wait to get away from the terrible sbr stuff, had a nightmare of a job chasing ball bearings around the place. I'll be going for two on the X, one on each side section and one on the Y.
Hello Michael, I'm still trying to decide really as the extrusion from mcmastercarr in fusion360 is not the dimensions it says it is as its 0.200mm out and it's messing up my designs so I think I'll have to order the extrusion and then measure it to check then go off that figure in cad. It's not too different from my current build what you built, just slightly different gantry design.